1965 Cadillac Eldorado Convertible. 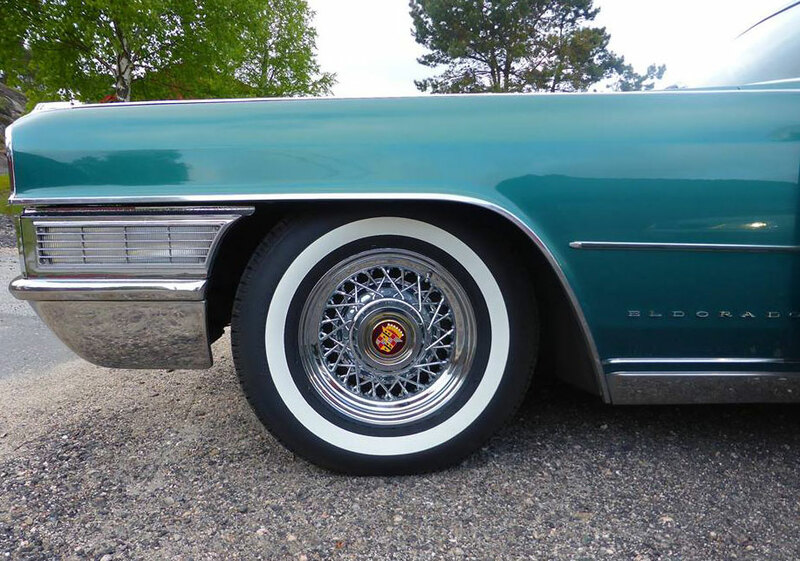 Truespoke 48 spoke Cadillac Wheels with American Classic P225/75R15 with 1.6 inch whitewalls, all from Truespoke. Elisabeth and Petter Solberg Thomassen. "Here is our Cadillac in Norway with your new wheels and tires. *Please order your tires carefully. Let us help you. If you need to return tires and it is not our fault, there is a 20% re-stocking fee. Tires must be returned in the same condition as shipped and not mounted. We cannot accept tires that have been mounted. Shipping costs are the responsibility of the customer. re-stocking fee. Tires must be returned in the same condition as shipped and not mounted. Shipping costs are the responsibility of the customer.